Hello, my name is Kelly and I Love Keto Carrot Cake! Seriously, when I was a kid my mom would make only two cake varieties – yellow and chocolate cake. Both were straight of out the box and I joyfully devoured them when ever I had the chance. 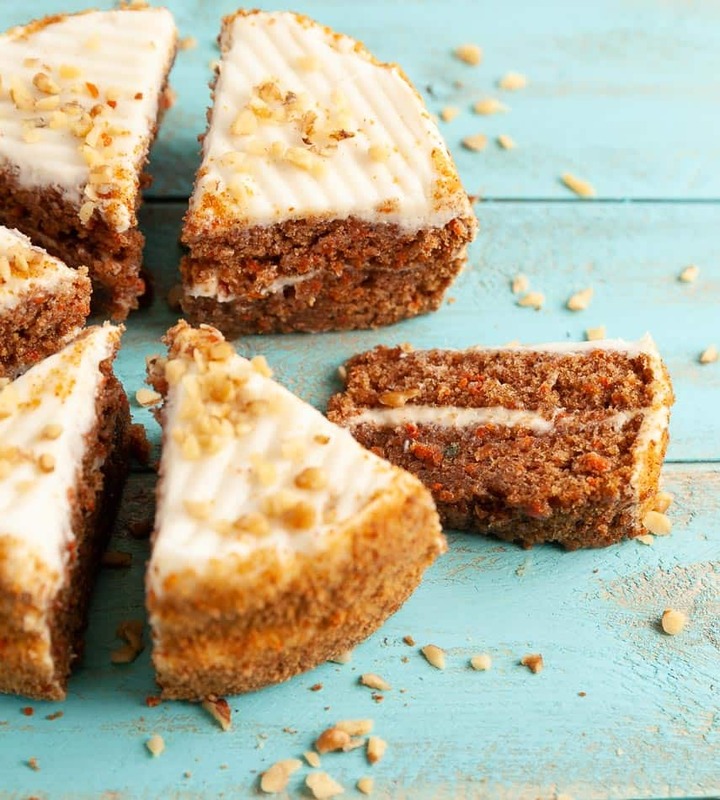 I never had carrot cake until I was a teenager and I swear I can remember my first bite – pure sensory heaven. It was a heady mixture of sugar and spices that locked in my love of the tasty dessert. When I went low carb/keto, I didn’t think it was possible to make anything that could even come into comparison and I was wrong! Keto Instant Pot Carrot Cake is low carb, gluten free and made the Instant PotⓇ. Yes, this cake is low carb even though carrots are not a low carb veggie! I replaced half of the amount of grated carrots I would normally use in carrot cake with grated zucchini which brings down the carb count significantly without changing the taste. I use only ⅓ cup grated carrot for the entire cake. This cake is rich, moist and contain warm spices like cinnamon, cardamom and nutmeg. My favorite part of carrot cake is the frosting and I made a sweet and creamy cream cheese frosting with a hint of vanilla. I used this cake pan on the recipe. 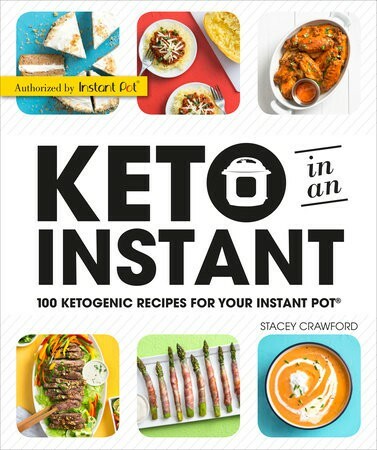 I highly recommend her book if you are looking for delicious Keto Instant Pot recipes and check out her Instant Pot Giveaway Here! Spray a 6 inch round cake pan (that fits in the Instant Pot) with nonstick coconut oil spray. Set aside. onto the paper towels and press down on grated vegetables with your hands in the colander to drain the excess liquid. In a large bowl with an electric hand mixer or stand mixer add almond flour, erythritol sweetener, baking powder, baking soda, cinnamon, cardamom, nutmeg, eggs, heavy cream, butter, vanilla extract, grated carrot and grated zucchini. Beat on medium until thoroughly blended. Pour cake batter into the prepared pan. Cover the top of the pan tightly with a sheet of aluminum foil. 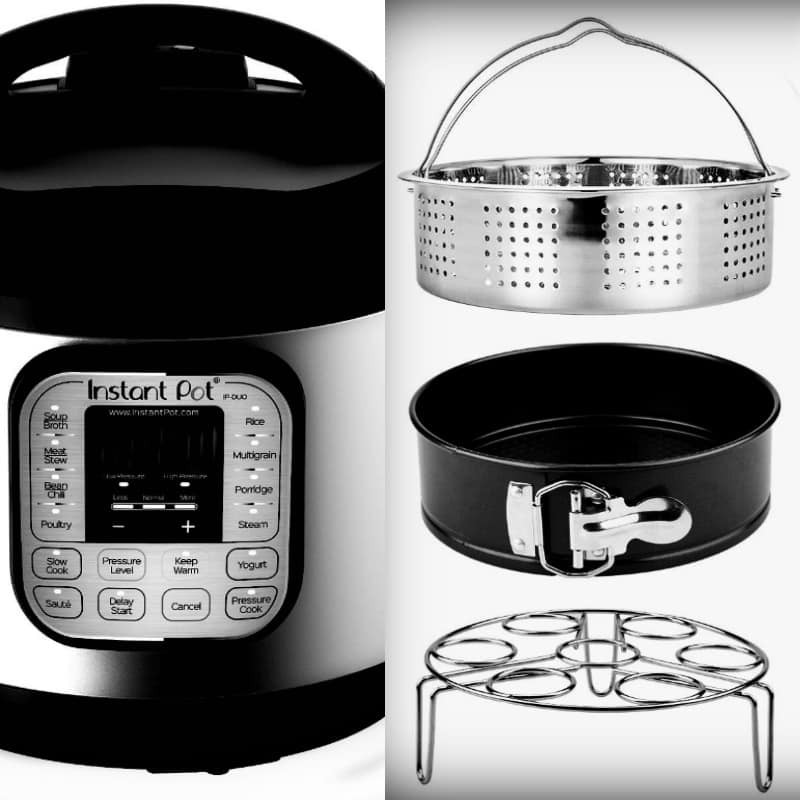 Add 1 ⅔ cup water to the Instant Pot and place the steamer rack into the pot. Place covered cake pan on the steamer rack. Close, lock lid, and flip the steam release handle to the Sealing position. Select Pressure Cook (Manual) on High Pressure or Cake Setting (if your Instant Pot has the Cake button) and set the cook time for 44 minutes. Once cook time is complete, let the pressure naturally release for 10 minutes and then Quick release the remaining pressure. Open the lid and carefully grasp the rack handles to lift the cake pan out of the pot. Remove the aluminum foil cover and let the cake cool for 25 to 30 minutes. While the cake is cooling, you can make the frosting. In a large bowl add cream cheese, 3 tbsp erythritol sweetener, lemon juice, vanilla extract, and heavy cream. Use an electric hand mixer and beat on high until combined and creamy. 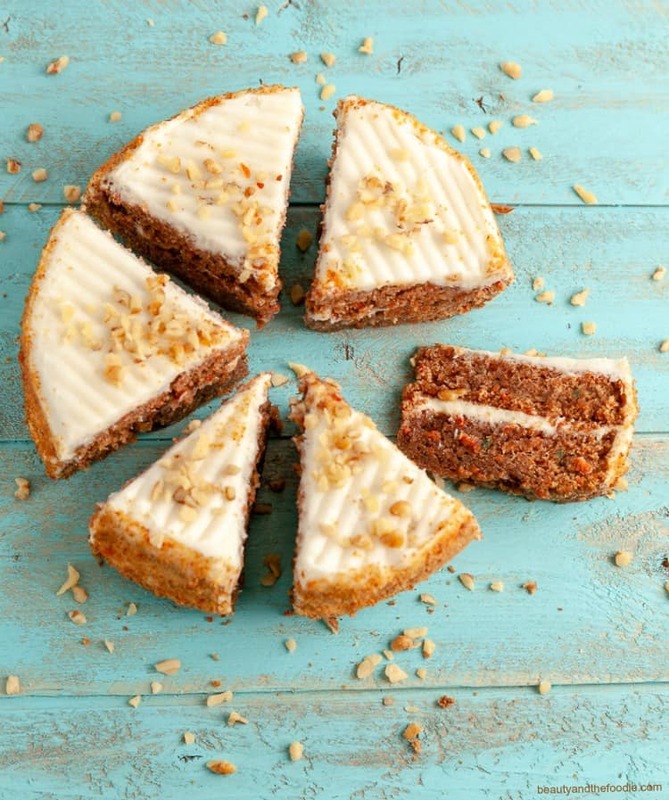 Once the cake has cooled completely, frost the cake, sprinkle with walnuts, slice and serve. Store covered in the fridge for up to 5 days. Is Keto All It’s Really Cracked Up to Be? For some reason the first word that popped into my head is scrumptious! It just looks so perfectly moist and delicious. Awesome recipe! I love all the veggies you’ve managed to fit into this cake!